Syrian military air defences thwarted missiles that Israeli aircraft fired at army positions in Quneitra province in the early hours of Thursday, state media said. Syrian military air defences thwarted missiles that Israeli aircraft fired at army positions in Quneitra province in the early hours of Thursday, state media said. 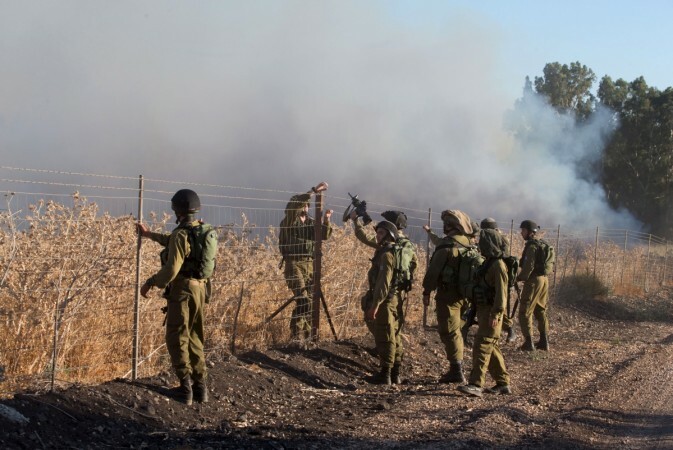 The attack near Hader village at the frontier of the Israeli-occupied Golan Heights caused only material damage, state news agency SANA cited a military source as saying. Israel has grown deeply alarmed by the expanding clout of its arch-enemy Iran during the seven-year war in Syria. Its air force has struck scores of targets it describes as Iranian deployments or arms transfers to Lebanon's Iran-backed Hezbollah. Israeli Prime Minister Benjamin Netanyahu told Russia on Wednesday that Israel would not seek to topple Syrian President Bashar al-Assad but that Moscow, his key ally, should encourage Iranian forces to quit Syria, a senior Israeli official said. Hours before, Israel said it shot down a Syrian drone that had violated its airspace, underscoring the frontier's volatility. Israel has been on high alert as Syrian government forces advance on rebels in the vicinity of the Golan, which Israel took from Syria in the 1967 Middle East war. Israel worries Assad could let his Iranian allies entrench near its lines or that Syrian forces may defy a 1974 Golan demilitarization. "The aircraft of the Israeli enemy fired several missiles in the direction of some army positions," Syrian state media cited the military source as saying on Wednesday. Earlier this week, state media said air defence systems struck an Israeli warplane and shot down Israeli missiles targeting the T4 air base in Homs province. With the help of heavy Russian air power, the Syrian army has seized swathes of Deraa province from insurgents in the south in the past three weeks. The offensive is expected to turn next to rebel parts of Quneitra closer to the Golan.